After Barfi!, even though there was a long gap before we could see Ileana D’Cruz on Bollywood films, the actress now has been quite active on the Hindi front. However, her South films have become quite rare. Interestingly, even though Ileana gained fame with the said industry, the actress hasn’t done a film down South since 2012. Now, after six years, she is making a comeback there with Amar Akbar Anthony. Not the remake of the cult Amitabh Bachchan starrer, but this Amar Akbar Anthony will feature Ravi Teja as the leading man. The film will feature the Telugu superstar in the lead role alongside Ileana. The actress, reportedly, has replaced Anu Emmanuel in the said film. She may kick off the shoot of the film which started off in New York, a few months ago. Readers may recall that the rumours of Ileana being a part of the film have been doing the rounds ever since Anu opted out of the project. Anu Emmanuel, who was super excited about the film, had to forcibly quit the film after her dates clashed with another film Sailaja Reddy Alludu. While the actress had taken to Twitter to speak about it, the producers of the film Mythri Movie Makers too confirmed about it on the same platform. As for Ileana D’Cruz, we are sure that the actress is more than happy to reunite to her Kick co-star. 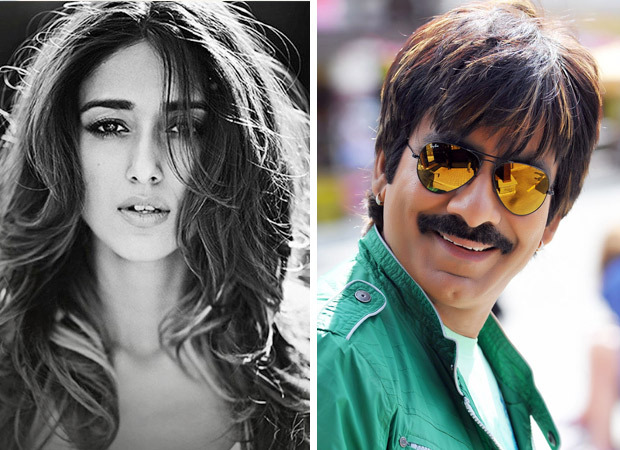 Ravi Teja and Ileana had come together for the South blockbuster in 2009. And in fact, the last film in Telugu that the actress had done way back in 2012, Devudu Chesina Manushulu too featured Ravi in the lead role. As for Amar Akbar Anthony, it is directed by Srinu Vaitla. The film is expected to hit the big screen in October this year and is being extensively shot in New York and other locations in the U.S.
Also Read: Did you know? Salman Khan offered Ileana D’cruz Wanted and Kick but she REJECTED them!